What can we do to this February to tempt you from the comfort of your log fire and your sumptuous sofa? Not much you will probably reply! 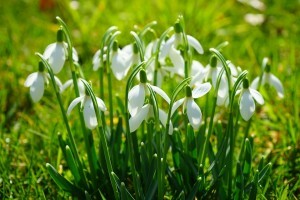 Those first snowdrops appear as a slightly premature warning of the impending Spring season, but they certainly do not signal the end of Winter. If, like us your lawn has taken a bit of a battering thanks to all the gales and storms we’ve had to endure recently, now might be a good time to get out there and access the damage. As disappointing as it might be, making a start to tidy things up and create some order will go a long way to giving your garden that essential boost it needs in time for Spring. We all know that Spring can be an extremely labour intensive gardening month, so getting things tidy and in order now, will make you more prepared for the nicer weather when it comes. How about making a start on that long grass? It might be too wet to cut but you could give it go with a strimmer. Or check those lawn edges, if they are untidy looking, take this time now to use your edging tool and get them perfectly neat. If you have any deciduous shrubs in your garden, remember they are dormant now, so if they need moving, now is the time to get that sorted. Everyone always goes on about keeping your vines in check, well now is the time to trim that Virginia Creeper, before it creeps into your brick work! If you have a low maintenance garden, then hanging fat balls and bird feeders up will attract the birds and you’ll be doing a good deed at the same time! If you really don’t want to head out into the garden just yet, then why not get your seeds and bulbs ordered in time for Spring? 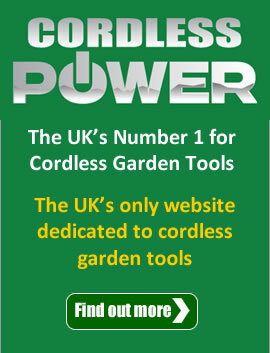 This is also a great time to check that all your garden machinery is up to the job. You can check the oil, sharpen the blades and give it a clean if you’re really feeling energetic. Those tools might need a check over, this is a great job to give those smaller people who always want to “help”. Give them a bucket of warm soapy water and ask them to clean your tools! That’s one less job for you. If you plan on investing in something new, February is a great month to grab a bargain, before the rush starts! Here at Just Lawnmowers we combine our extensive knowledge, friendly customer driven service, and an exhaustive range of garden machinery, to bring the very best offers and advice. Did you know? You can start start sowing your vegetable seeds such as celeriac, leeks and onions now, under cover of course.